That’s a tough deal but looks like you and JP are making the best of it. JP’s expression says it all! Hey all, went out solo today and had fun with a hammergun. Took my 12b J. Harkom out and managed to get a couple. Sad thing is I lost one. He was hit, but got into some real thick cattails and Raina wasn't able to find him, hate doing that! But all in all a good day, beats work! Got back from Ideal SD yesterday morning. Left a day early to prevent getting stuck in the snow. Bird counts are okay but they were very edgy. We scared many before we could get a shot. Great trip as always though. 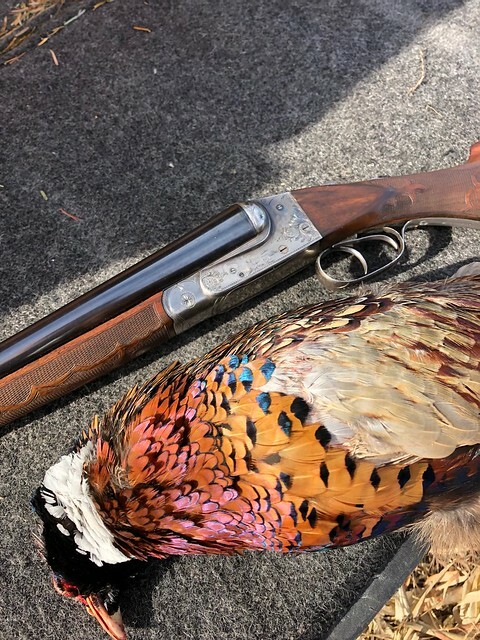 This is a 1902 Ithaca Lewis grade 3 in 12 gauge. Selfie of me & Buzz from Nov. 10 on a WPA out by Salem. He was brilliant, as usual, & I had my Sweet 16 dialed in pretty good that day too. RIP buddy. We'll get 'em again together someday. My Lady dog put on an absolute show of beautiful work while in Kansas. 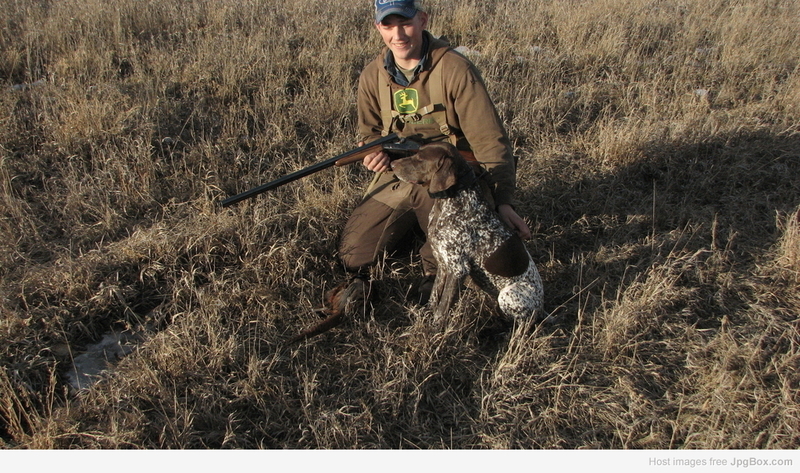 Shooting a limit of roosters on pressured public land over staunch points speaks for itself, this little dog gets it. Oh, wow! What a beautiful photo! Nice work, Lady! Bella on a great woodcock point! 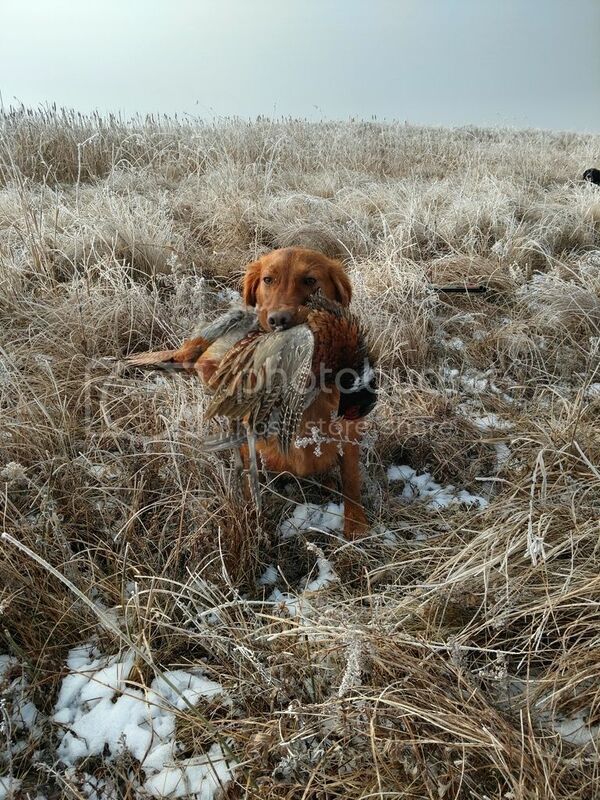 Nice retrieve on a frosty morning last week in North dakota! This is Winnie, my 3 year old British lab. 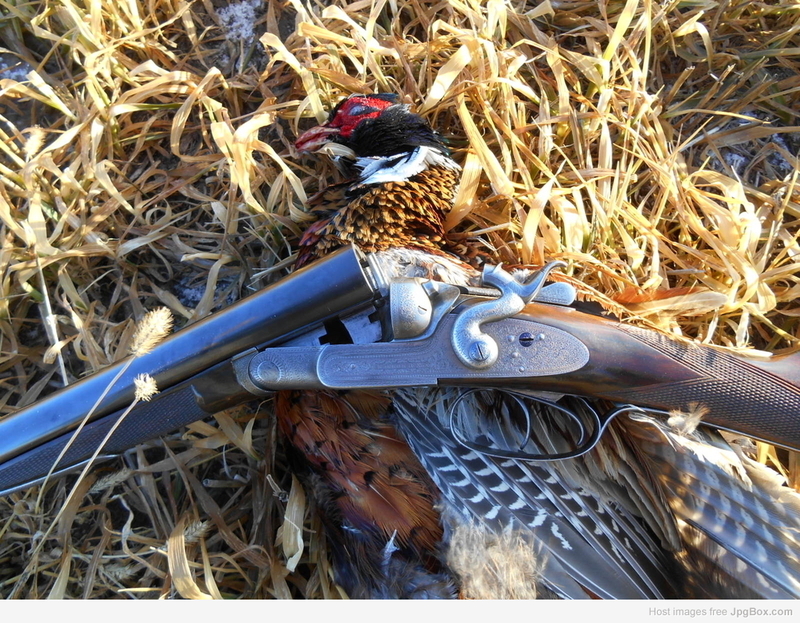 Experienced a first with her today, she pointed this pat eseason rooster in the cattails. I didn’t say a word to her as she held the point, I took two steps forward and he flushed which lead to his demise. Beautiful day to hunt in MN. Hey all, yesterday my son Will came home on Christmas leave from the Army and of course we went out and did our favorite pass time bird hunting! We saw some birds today, but they were on the wild side. My son did manage to get the only bird of the day (I didn't even bust a cap) after our faithful GSP went on a solid point. It was wonderful weather and a pure joy for me being able to hunt with my son Will again! Looking forward to hunting some more with him and my other boy Jim.